This time last year, Sonya, owner of hopping little online boutique, Bumblebee Baby, ventured far from hometown of Edmonton, Alberta to visit a friend in Australia. She had no idea that this would kickstart the beginning of a new love affair with cloth diapers, as well as a brand new business idea. "My friend in Australia had the largest stash of cloth diapers I had ever seen!" she says, " I was pregnant with my son and decided I was going to give it a try. I researched and purchased my first FuzziBunz and thought, hey, I could do this!" One thing led to another, and now not only has son Owen (8 months) worn cloth diapers since day one, but Bumblebee Baby, a sweet little online boutique for cloth diapers and other earth-friendly products, is now up and thriving. This darling little online shop carries all the products that eco-minded parents are searching for these days: non-toxic teething bling, eating and drinking gear, and of course tons of great fluff. 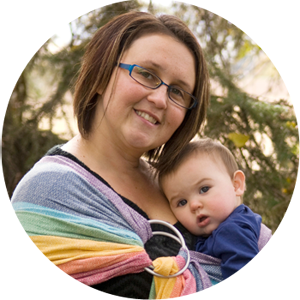 Sonya also works locally to promote her business through Edmonton's Urban Infant magazine as well as at local trade shows. She has nothing but excitement for what's on the horizon with the business down the road. She hopes to continue bringing in more earth-friendly products as she finds them, and is always looking for suggestions from her customers and fans on what they'd like to see stocked next. She hopes that sometime soon, when someone says the name, Bumblebee Baby, they'll know exactly who she is and what she is all about as a business. Sonya's philosophy about the world we live in has a large part to do in her promoting such earth-friendly products in her shop. She says, "I truly believe that we are role models to our children. They are the future, and we have borrowed the earth from them, not inherited it from our ancestors. Your children will become what you are so be what you want them to be." She is continuously making healthy lifestyle decisions within her own family, and they hope that some of what they have can rub off on their friends and community, too. While spending this year on maternity leave from the Alberta Government, Sonya keeps fairly busy with running Bumblebee Baby and spending time with her beautiful family--her husband of 11 years and their three children: Laurel (5), Violet (3), and Owen (8 months). When she does have some extra free time to herself, though, she loves to spend it working out or visiting with her girlfriends, whether for a quick dinner out, or even for a weekend retreat to the nearby mountains. At the end of her maternity leave, she plans on returning to work and continuing her work with Bumblebee Baby on the side, because it--and her cloth diaper advocacy--is so important to her. "It really gets me excited when other moms and dads choose cloth diapers. In this generation, it seems like such a hurdle to convince people, but if they just tried it, they would understand that it really isn't a sacrifice." This is feature number 5 of 8 for our Facebook February promotion. Read all the features this month and then join us for a Facebook party on Monday, February 28th at 8:00 PM CST, where Sonya and Bumblebee Baby will be giving away a FREE WeeHuggers Hobo Wet Bag to one lucky winner! 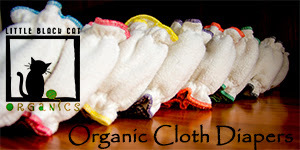 I too learned about cloth diapering from a friend while I was pregnant! I just wish I had the resources to open my own store too. Sonia is from Edmonton, Alberta. Too true about how it is a huge hurdle to convince people to just TRY cloth diapering!! It's so amazing, and so easy.. Kudos to her!! Beautiful family..
Love how Sonia works with the local magazine to promote her business! she gets a year maternity leave in alberta! thats awesome! i like the idea of being a cloth diaper advocate! :-D thanks i now have a new title! Sonja I love the idea that you understand the future of our Earth belongs to our children & every eco-friendly thing we do secures a better future for our Earth & our children! I love the name of the company. Nice logo too. I love that she thinks we are the role models for our children. That's how everyone should raise their families. Oh, and I also love that she learned a lot from fellow CD mom. I love spreading the word about CD's! I love that she tried CD, I pregnant with my 3rd baby and wanting to try it as well, she is another sucess story pushing me to make the change. I learned that she has the same philosophy that I've had since high school. As "she says, "I truly believe that we are role models to our children. They are the future, and we have borrowed the earth from them, not inherited it from our ancestors. Your children will become what you are so be what you want them to be." "
It is cool that she is from Edmonton, but also cool that she is going to go back to work as well as run her business! I think it's cool that she's running her business while on maternity leave. Wow! To think she traveled half way around the world and learned about cloth diapers! I thought her philosophy was very interesting and beautiful; that we have borrowed the earth from our children, not inherited it from our ancestors. Wow! Planning on going back to work and continuing with bumblebee baby! I give her kudoos! So cool that she cloth diapers with 3 beautiful kids! I learned that visiting a her friend in Australia kickstarted her love for cloth diapers! She traveled from Canada to Australia while pregnant! I love that she's doing what I want to do.....being a mom with a mommy store!!! Plus we want 3 kids! I enjoyed reading about her! I learned she manages to still have time to do the things she enjoys... with 3 kids and a business! Hats off! I learned about her philosophy, and I completely agree! its so interesting that she traveled so far and learned about cloth dipes! She has the energy and ambition to not only care for her family of five but also tend to the wants and needs of parents choosing to live a more eco conscious life and promote her budding business venture! Wow. I wish her continued success with Bumblebee Baby! Love that she is so eco-friendly - we need more businesses like hers and the others featured to make our world a better place! So cool that you took a yr for maternity leave! And that you will comtinue your business when going back to work. That peer pressure convinced most of us to start cloth diapering. :-) I'm sure on her trip (which is awesome) wouldn't have thought it would have started all this! I love the fact that she is so devoted, she's going back to work after maternity leave! I learned that she's been married 11 years and has 3 beautiful babies! I love her philosophy! LOVE that she is a fellow Canadian!! Hooray for 12 months of Mat leave! I alos think its great that Owen has been in cloth since day one!! I learned that her first CD was a Fuzzibunz! I learned that she started CDing with her third - just like I did! I found her thoughtfulness for our children's future interesting. Most people don't care what we are doing to the planet. I find it refreshing that someone looks at it as us borrowing the planet not inheriting it. That she has a son named Owen, which is a family name in our family and I LOVE! I love sonya's quote " I truly believe that we are roll models to our children" So very true! I'm looking forward to checking out her website and perhaps helping out a fellow Albertan. I think it's interesting and impressive that she's working a job outside the home (as long as I understood that correctly), running Bumblebee Baby, and raising three kids! Wow! I learned that after her maternity leave she will still do her new business part time...she has worked so hard at it. I find interesting that we share the same feelings on being excited when other parents cloth diaper. I love the names she picked for her kids! If I have another girl ( I have 3 already, no boys) I will be stealing her babys name :o0 I love the name Violet! I like that she lives her life in a way that she hopes will be an example to her kids and community. I love her philosophy about children being the future. SOOOO true! I learned her philosophy on life. "I truly believe that we are role models to our children. They are the future, and we have borrowed the earth from them, not inherited it from our ancestors. Your children will become what you are so be what you want them to be." I agree with her 100%. She couldn't have said it anymore perfect! Love that she takes suggestions from customers on what to stock! The first cloth diaper I had ever heard about was also a fuzzibunz!! so funny! I love that she carries so many other eco-friendly, natural products in her store! I agree with her, children are our future! i think it interesting she is taking a year maternity leave! that is awesome! i love that she thinks we borrow the earth from our chldren not inherit it from our ancesters.. awesome way of thinking!! That she is continuously making healthy lifestyle decisions within her own family! i find it interesting that Sonya will go back to work AND work on her cloth diapers as well! supermom!! I found Sonya's closing comment interesting- and true! 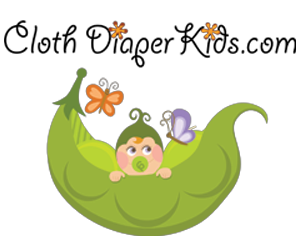 There are so many false ideas about cloth diapers out there! I agree that if people just TRIED it, they would realize all the positives! I learn that fuzzibunz is the first cloth diapers she tried. I love this quote from her! She seems very passionate about the environment and her children, I can relate. "I truly believe that we are role models to our children. They are the future, and we have borrowed the earth from them, not inherited it from our ancestors. Your children will become what you are so be what you want them to be." I think it's neat that Sonya promotes her business through Edmonton's Urban Infant magazine! she cloth diapers with three kids, awesome!! I like that she is a good example to her children for living "green"! like the cloth diaper advocate term! How nice to get a year of maternity leave!!! I learned she is from the same city as me. i like that she is being a role model within her family and wants to be a role models to others by the life she's living! I like that she like me thinks that we have to be great role models for our children and teach them daily!! I learned that Sonya's philosophies on life have a big impact on how she created and runs her business. I also learned from the picture that she and her family are freaking gorgeous!